Moscow (AFP) - Russia on Sunday mourned the death of Maya Plisetskaya, one of the greatest ballerinas of the 20th century who dazzled the world with her mesmerising performances and rare beauty. Plisetskaya, whose free-wheeling spirit defied the limits of Soviet-era art, died Saturday of a heart attack in Munich at the age of 89. Despite her advanced years, the Russian ballet icon had brimmed with energy and her death plunged the Bolshoi Theatre, where she had planned to celebrate her 90th birthday in November, into shock. "Plisetskaya is forever," said the Bolshoi where Plisetskaya danced well into her 60s. "She was, she is and she will be." Bolshoi artists and viewers observed a moment of silence for the dancer at the start of Sunday's performance of the ballet "Lady of the Camellias". Tributes for Plisetskaya known for her huge eyes, long legs and a flame of red hair, poured in from ballet greats and dance lovers from all over the world. "The star of Maya Mikhailovna Plisetskaya, who became the embodiment of the very essence of ballet art for several generations of spectators from all over the world, its refined beauty and regalness, will now shine from heaven," Saint Petersburg's Mariinsky Theatre said in a statement. "The epoch of Great Ballet Legends comes to an end," dancer Diana Vishneva wrote on Facebook. Ballet legend Mikhail Baryshnikov called her "one of the greatest dancers of our time", while French culture minister Fleur Pellerin described her as a "diva of dance who has given all her life to ballet". Among her most celebrated performances were her roles in Carmen Suite, Anna Karenina, Sleeping Beauty and Bolero, a hymn to eroticism, which she danced at the age of 50. Her performance of the Dying Swan, famed for the fluidity of her movements, particularly her arms, became her calling card. The muse of Yves Saint Laurent and Pierre Cardin was born to a Jewish family in Moscow on November 20, 1925. Her engineer father was shot under Stalin's regime for being the "enemy of the people" and her actress mother was accused of being a traitor and sent to a labour camp. Those experiences left an indelible impression on the ballerina who was famous for her directness and criticism of Soviet-era brutality in her later years. "For me personally it is worst than fascism," she said in a televised interview, referring to communism. "She was indeed an 'inconvenient' person: she always said and danced what she thought and felt," the Bolshoi said in a statement, calling her a "symbol of resistance against narrow-mindedness and Soviet order in arts." 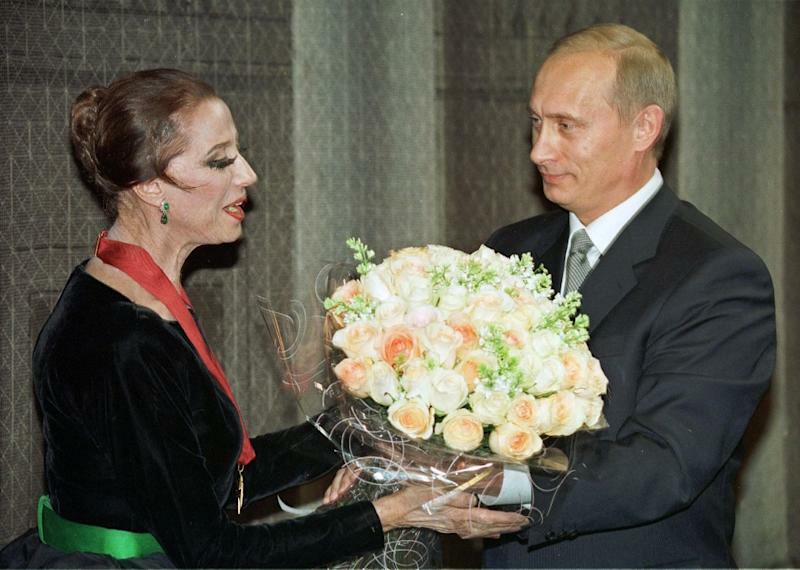 Plisetskaya was often dogged by controversy throughout her long career, sparking a scandal in 1967 with her sexually-charged performance of Carmen, written for her by the Cuban choreographer Alberto Alonso. "Carmen -- where every gesture, every look, every movement had meaning, was different from all other ballets... The Soviet Union was not ready for this sort of choreography," Plisetskaya said. The dancer, who sacrificed motherhood for ballet, is survived by her composer husband Rodion Shchedrin. The head of the Bolshoi Theatre Vladimir Urin said he had learnt of her passing from Shchedrin, who was her collaborator for many years and wrote the score to a number of her ballets. "He could not talk really," he said. Urin told Russian reporters that the ballerina's wish was for her body to be cremated, with her ashes scattered "over Russia."